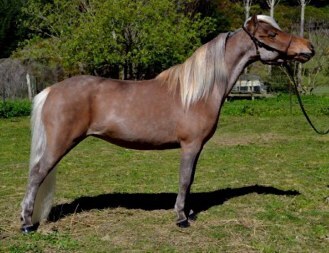 See her in the mare section as well. 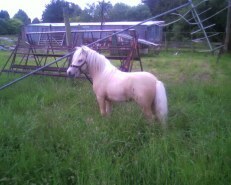 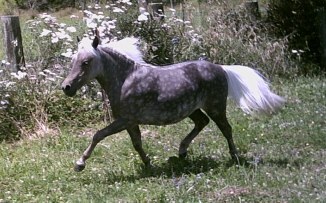 See Topaz on our stallion page. 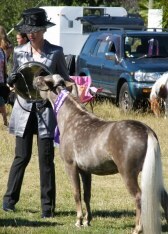 Second photo is of Cherry being shown by Ruth at one of their NI shows 2005. 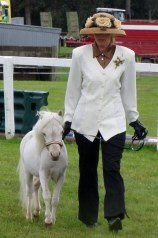 Have lost track of her since. 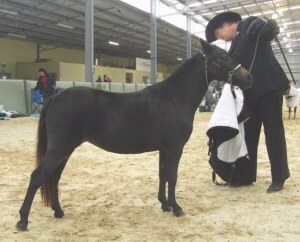 SIRE: Willowbrooke Thunder 'n' Bluz 34" DAM: Hampton Park Candlelight 37"
Spring Valley Illusion b. 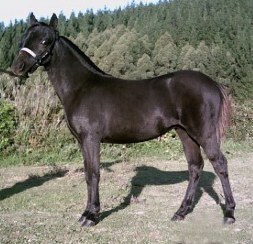 17/10/05 (below) SOLD to Judy Ray, Takaka. 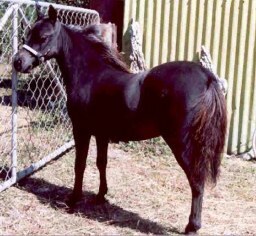 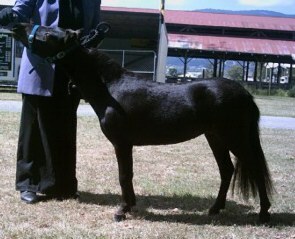 Sire: Claremont Mendons Magic Man 31.75" Dam: Spring Valley Daydream 37"
Black buckskin pinto Cat B miniature colt. 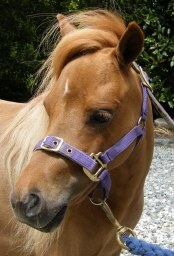 (now gelded), Judy has just broken Cola to harness. 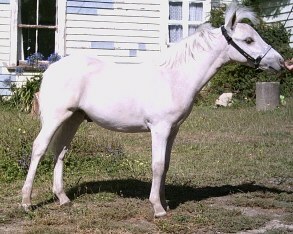 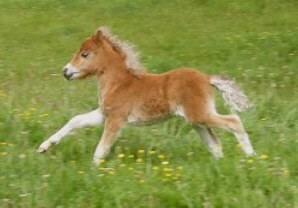 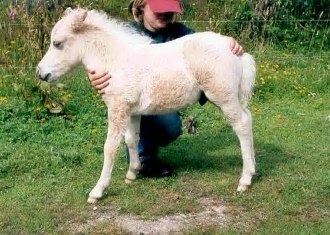 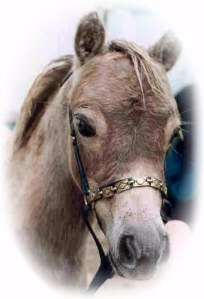 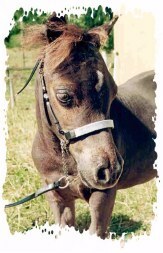 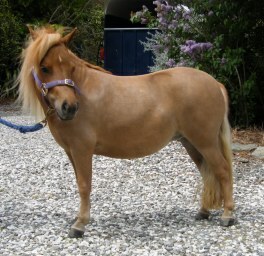 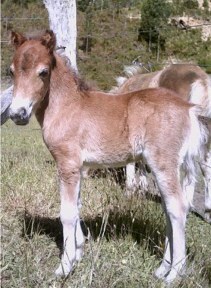 Shown lightly as a foal for 3x champs and two reserves. 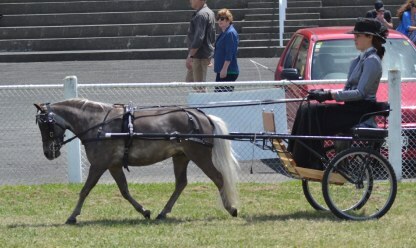 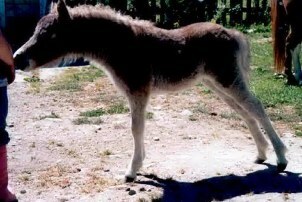 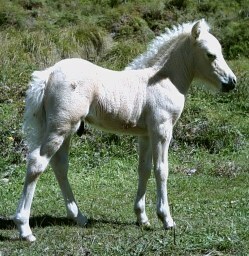 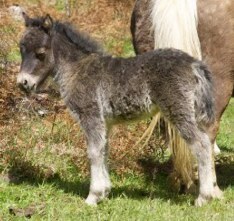 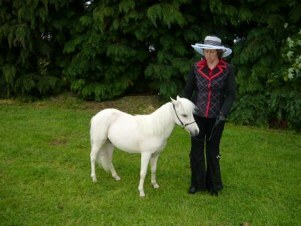 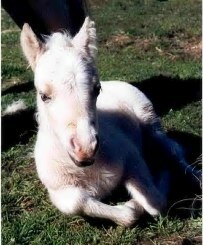 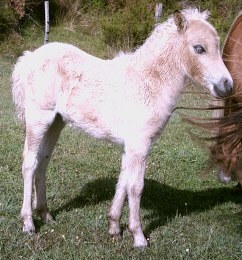 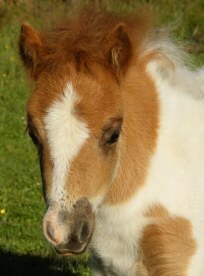 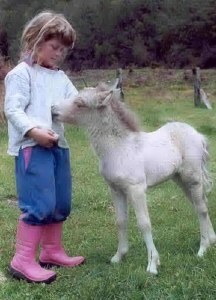 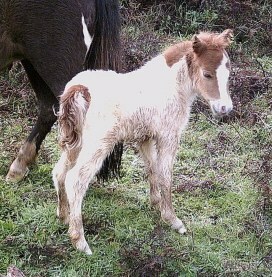 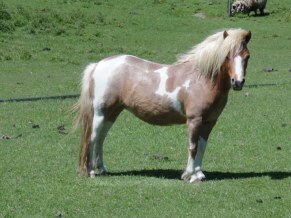 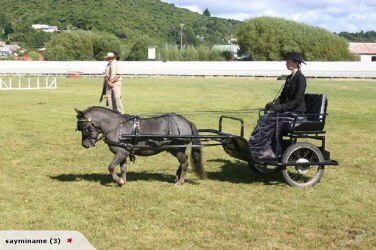 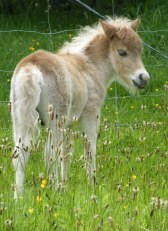 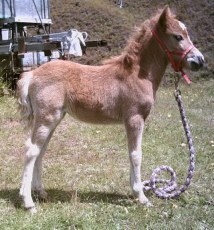 NMHSNZ Hi point Foal of the Year. 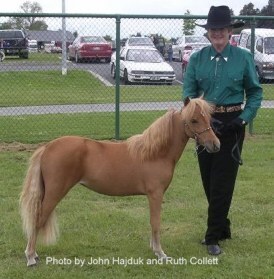 RH photo @ 5 yrs by Judy Ray. 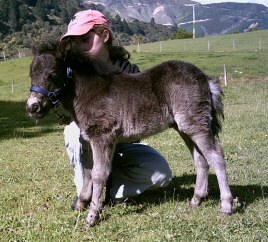 Photos at 2 weeks old and as a yearling and 3 year old with Kaye Love. 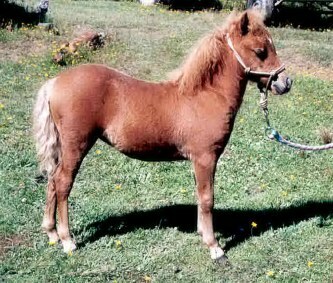 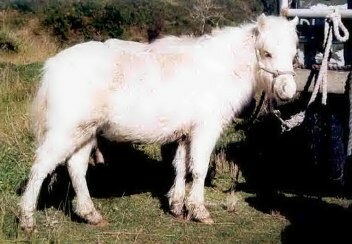 Chestnut/roan/sabino? 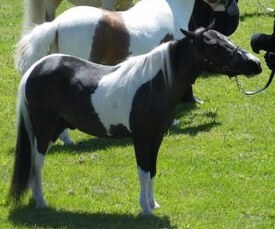 with white stripe. 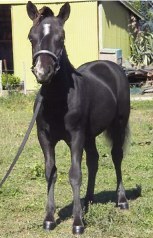 See her on our mare page. 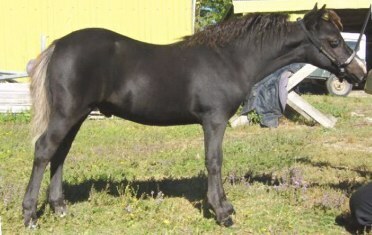 Four weeks and then at three years. 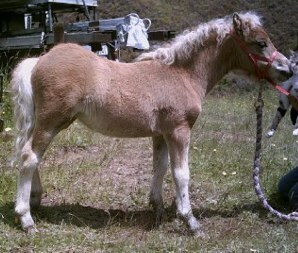 Full sister to SV Twilight...hard to believe.... .
As a foal and again at three years , paddock condition - very much like her mother! 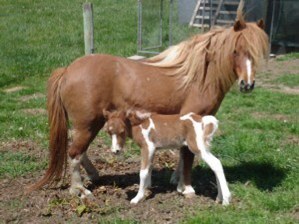 Shenandoah is our new stud name. 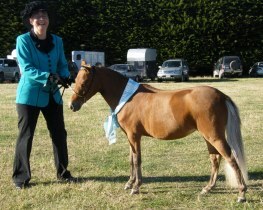 Champion Youngstock and Top Five Allbreeds sash at first show at six months. 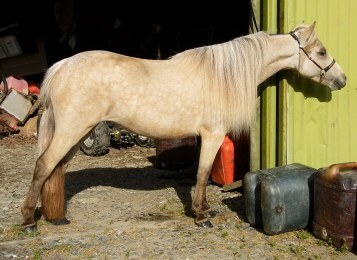 See her on the mares page. 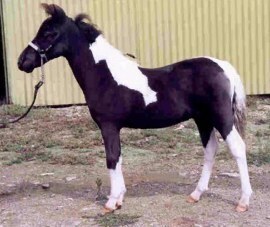 Has been shown, do not know any results though.